PokerStars offers the biggest selection of real money, multi-player poker games. You can find all the popular Texas Hold’em and Omaha game variations, plus stud poker games, draw poker games, and mixed games like HORSE. PokerStars.com also offers multi-table tournaments in all these games. And now, PokerStars has a brand new mobile app available for iOS and Android smart devices! Play some iPhone poker at PokerStars! The new PokerStars mobile app provides their most popular games – Texas Holdem, Omaha, and Omaha Hi/Lo games – for both real money and play money versions. And it’s not just cash games, PokerStars also has all their multi-table tournaments and Sit-n-Go’s available for these games! 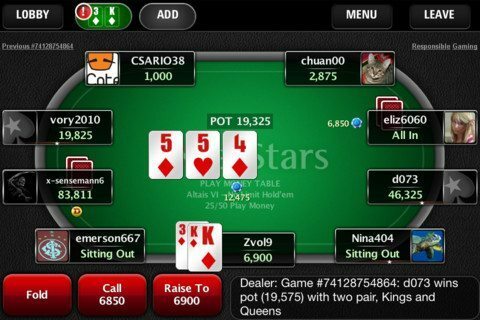 The PokerStars mobile client shares the same player base as the standard PokerStars, so you can expect the same massive Sunday tournaments and non-stop SnG’s on your iPhone as you would on your PC! One of the most important aspects to serious PokerStars players is the ability to multi-table and PokerStars recognizes this. 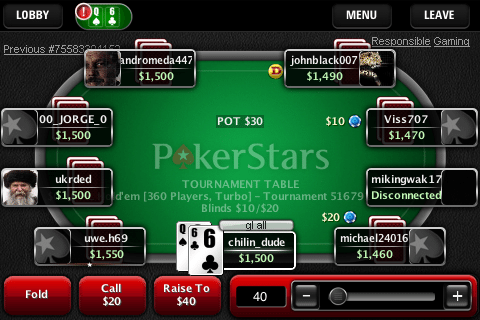 One of the best features of PokerStars mobile is the multi-tabling ability of the interface. PokerStars mobile has intelligence to automatically switch to the active table so players won’t miss a hand. PokerStars mobile has its own poker lobby and filters so you can search for your poker games of choice and earning FPP’s and VPP’s are the same on the mobile client as on a desktop, so you can still take advantage of the initial deposit PokerStars bonus, VIP program, etc. If you live in Italy or the UK, then you must check out PokerStars mobile poker! To play, first go to PokerStars.co.uk to register your account. Once you’ve registered your account, then visit pokerstarsmobile.com to download the mobile app! To get the PokerStars software for PC, you can find step by step instructions and guidelines on the welcome bonus at http://pokercasinodownload.com/pokerstars-download/. New customers have a choice of welcome bonuses when making their first deposit. 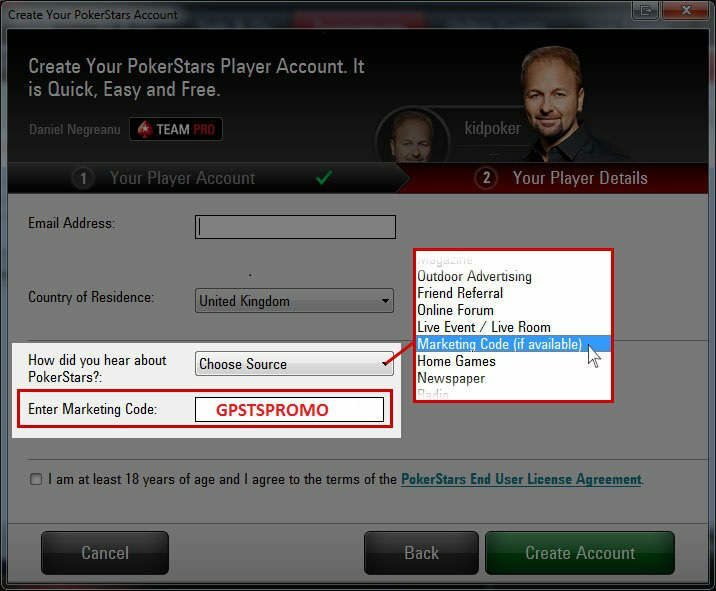 You can find details at http://www.poker-bonuscode.co.uk/pokerstars-marketing-bonus-code/ but basically when you register your account, be sure to enter the PokerStars Marketing Code GPSTSPROMO and then when making a deposit, you can choose between two bonus codes – FREE20 or STARS400 – for either £20 free upfront or up to a £400 bonus. For alternative online poker sites, we can recommend both partypoker bonus code offer and 888poker promo code bonus.